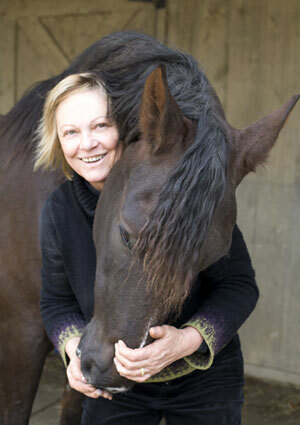 We’re happy to have TSB author, translator, and Masterson Method Practitioner Coralie Hughes discuss the idea of “balance” in the horse, providing insight and ideas from her experiences at a clinic with Dr. Gerd Heuschmann, as well as in her work with Jim Masterson and the Masterson Method of Equine Bodywork. 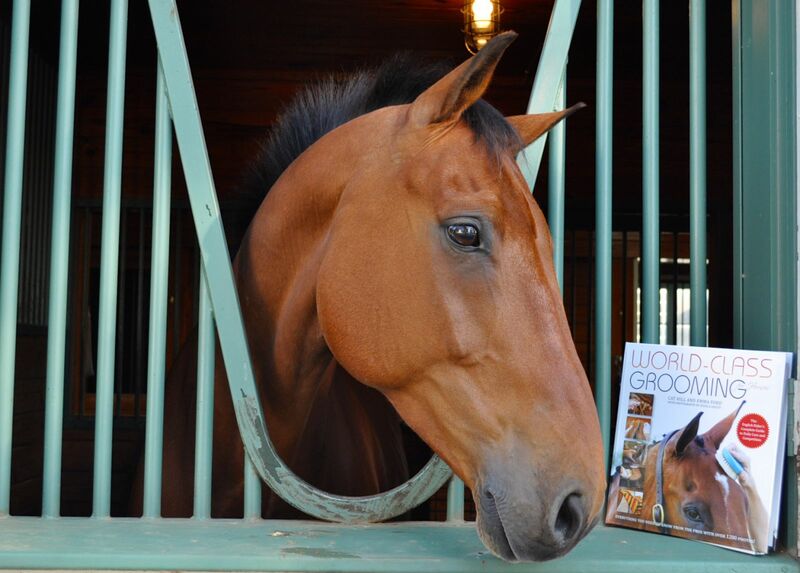 Coralie and Jim’s new book THE DRESSAGE HORSE OPTIMIZED is due out in June 2015. CLICK HERE to add your name to the wait list to be notified as soon as its available! 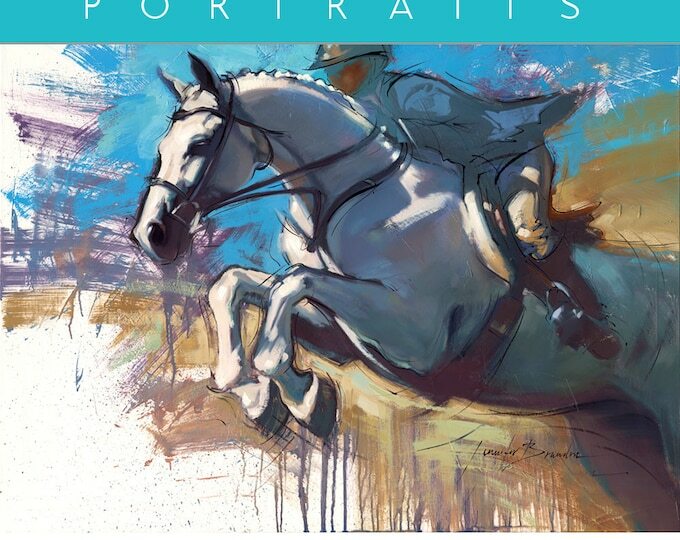 Coralie Hughes and Jim Masterson discussing the painted horse from their new book THE DRESSAGE HORSE OPTIMIZED. Having translated his book BALANCING ACT from German to English, I felt I understood Gerd Heuschmann’s equestrian philosophy pretty well. 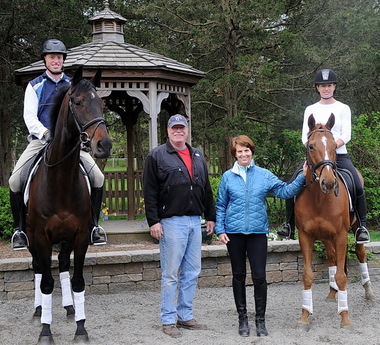 Attending a recent riding clinic of his and listening as he taught dressage riders of all levels to Grand Prix was still an extraordinary experience for me, both from the perspective of being a dressage rider myself and being a Masterson Method practitioner. 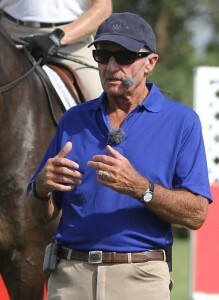 If you haven’t yet encountered Dr. Heuschmann of Germany, he is an accomplished dressage rider and trainer, a veterinarian and the individual who led the international charge against Rollkur (a flawed training practice used in all disciplines, English and Western, that brings the horse’s nose to the chest in the mistaken notion that the poll and the back will release, while actually accomplishing the opposite). 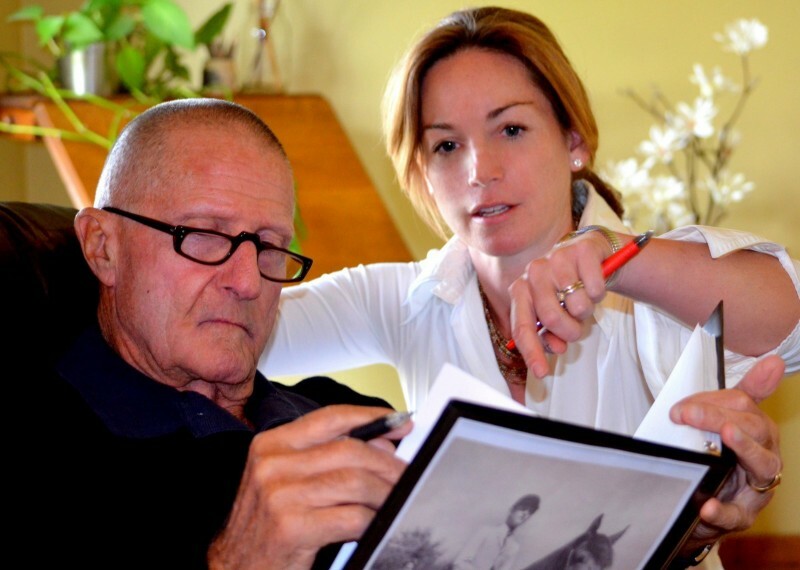 Dr. Heuschmann is also a fan of the Masterson Method and loves to watch the horses release as Jim works. 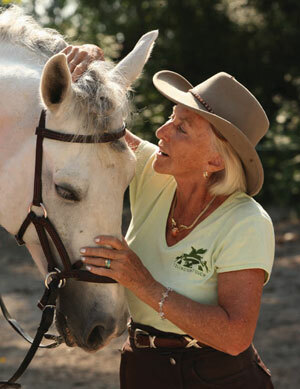 To Dr. Heuschmann, what he does in his clinics is balance horses. 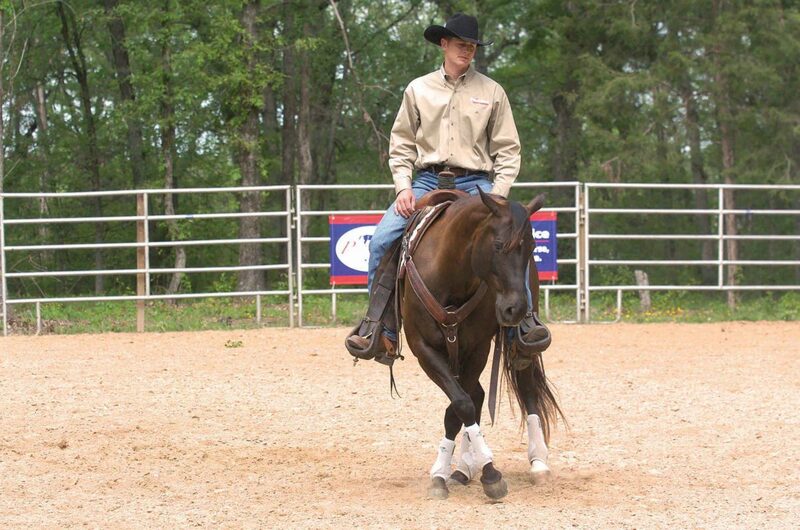 He teaches the riders to ride with the sensitivity of seat and hand that allows the horse to free his back and poll. 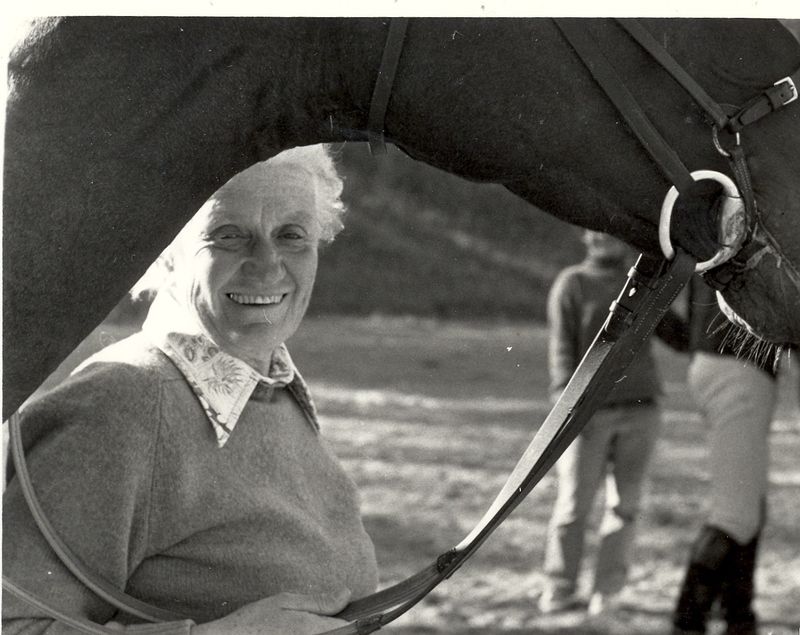 If the horse is ridden at the tempo and rhythm that is most comfortable for that horse (“Every horse is a song and we must find the melody”) and the back is free, full utilization of the hind end in his work is possible. 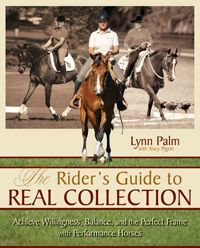 If hand, seat, or leg transmits negative tension to the horse, then tension develops in the poll and transfers to the back and to the hindquarters. During the clinic, Dr. Heuschmann identified common riding errors, especially in the use of the hands, that cause increased poll tension, inhibit the movement of the corresponding hind leg, and negatively impact the back. Such a horse is imbalanced in his movement and the dressage goals of impulsion, straightness, and “throughness” are impossible to achieve. 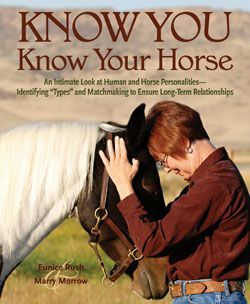 There is a kink or block in the energy transfer through the body of the horse. 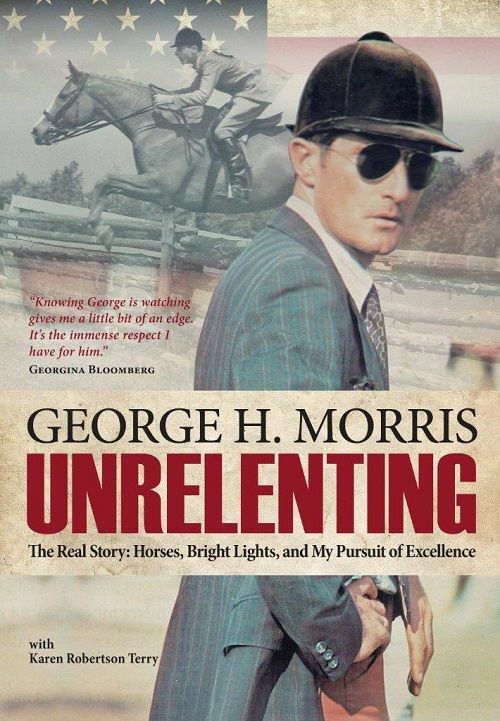 But even the best-ridden horse is going to develop negative tension in his body as a result of his efforts to please his rider and just simply as a result of repetitive motion. Over time, the muscles lose the ability to fully contract and fully relax, and the muscle chains of the body become unbalanced. As a Masterson Method practitioner, it is commonplace to feel the tight and locked poll, the stiff back, and the shoulders and haunches that have only limited range of motion. 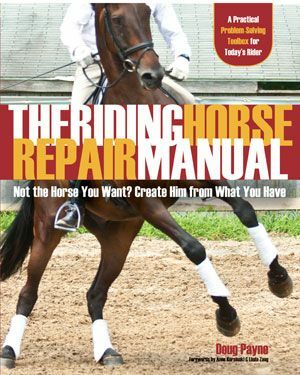 It is also commonplace to be able to restore range of motion and release restriction in the body of the horse through Masterson Method bodywork. Click the image to join the wait list. With the Masterson Method, we have recently taken it a huge step further. With the painted horse project that yielded the DRESSAGE MOVEMENTS REVEALED DVD SET and now the book THE DRESSAGE HORSE OPTIMIZED, we studied the biomechanics of the dressage horse so that dressage riders, and we Masterson Method practitioners, would be better able to understand how the horse uses his body in his work. 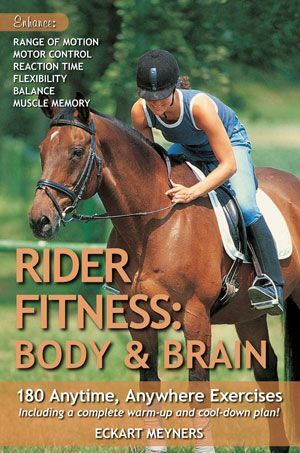 The better we understand how the horse must use his body to perform movements of upper level dressage, the better a rider understands how to be in sync with the horse and not against his motion, and the better a Masterson Method practitioner understands why certain muscle groups are involved when a dressage trainer is having given training issues. Bodywork can often feel like a “hide-and-go-seek” effort. 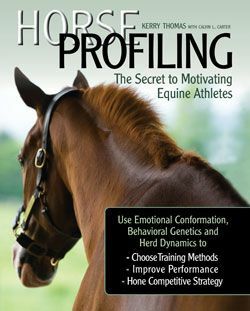 Through the work we did with DRESSAGE MOVEMENTS REVEALED and THE DRESSAGE HORSE OPTIMIZED, we have gained an understanding that removes a lot of the mystery when horses can’t perform as well as they used to, barring a frank veterinary cause. 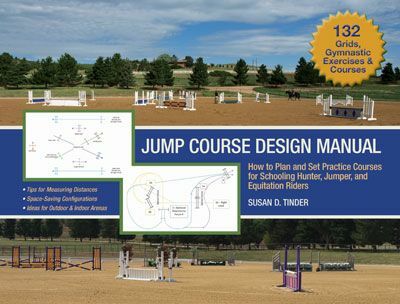 Since completing the research and work related to this new book, co-authored with Jim Masterson, I find in my Masterson Method practice that I better understand horses of all equestrian disciplines. 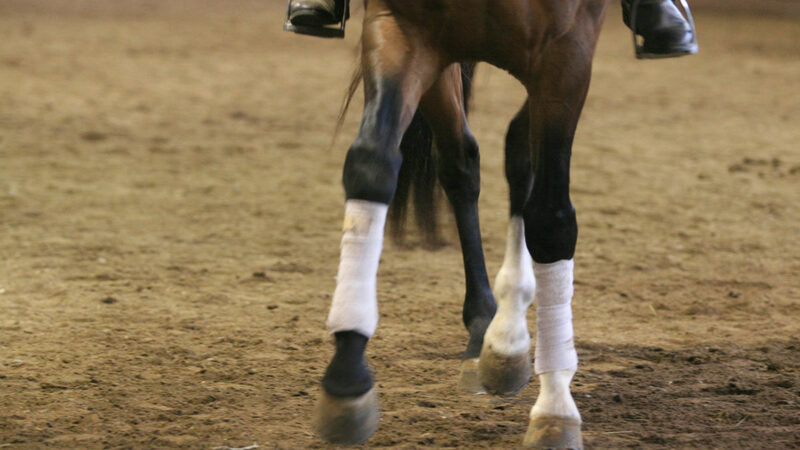 The reiner that is having trouble in a spin reminds me of the front end of the dressage horse’s half-pass. 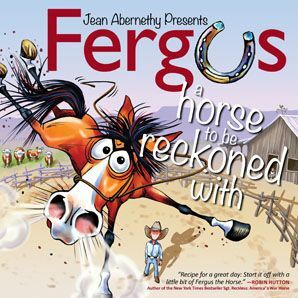 The jumper that can’t use his back or flex his lumbosacral joint or use his gluteals in a good push off, is a dressage horse that is too locked up to collect properly or has lost his extended trot. The musculoskeletal system of the horse allows for a limited set of movements of his body parts. 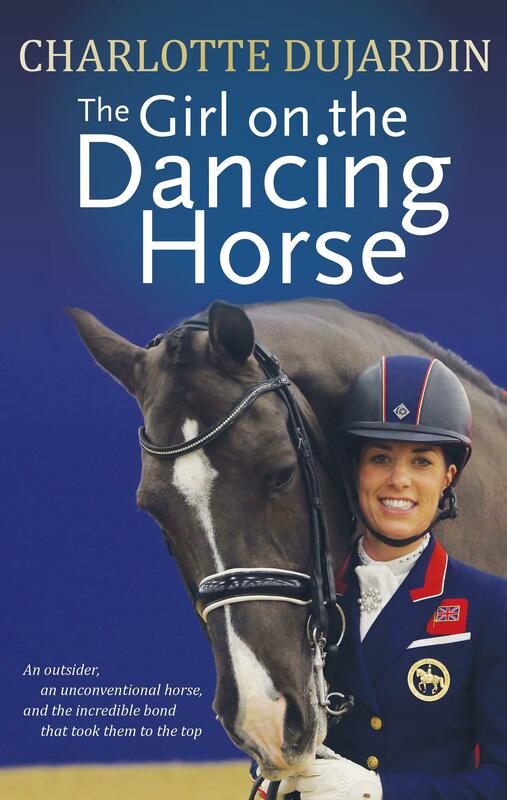 Because the dressage horse is asked to perform the greatest range of different movements, understanding how the dressage horse uses his body can be a springboard for understanding any equestrian discipline as a bodyworker. Betsy Steiner on Bacchus from THE DRESSAGE HORSE OPTIMIZED. 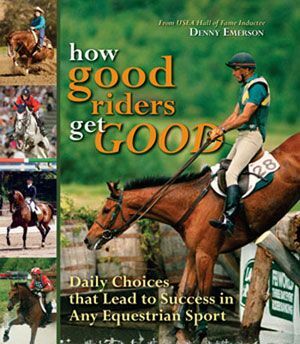 Most equestrians are trying their best to be good riders. 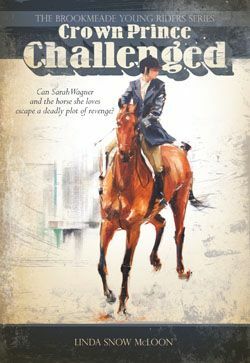 But as one of the old dressage masters said, “A lifetime isn’t long enough to learn to ride a horse.” With the Masterson Method we can help the aspiring rider travel the long, often frustrating but also joyous journey of learning to ride by rebalancing the musculoskeletal system of the horse through regular bodywork. In essence, we are giving the rider a new “blank slate” for his or her continued efforts to learn to ride this most noble of creatures. 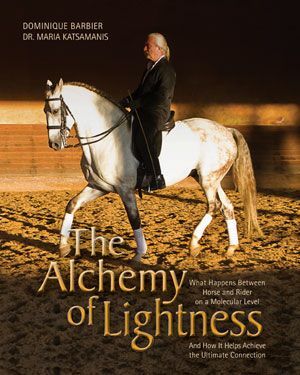 It’s all about balance… from Dr. Heuschmann’s ground-breaking work about how to ride a horse in balance, to the Masterson Method’s rebalancing of muscle systems through release of tension. For every horse of any discipline, it is a question of balance in how the horse is using his body, or the lack thereof. 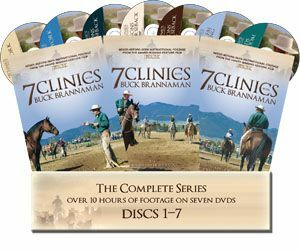 The DRESSAGE MOVEMENTS REVEALED DVD SET and THE DRESSAGE HORSE OPTIMIZED BOOK are available from the TSB online bookstore, where shipping in the US is FREE. 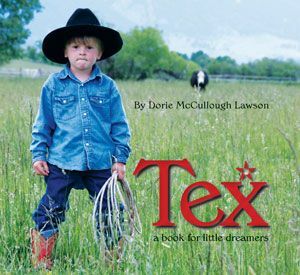 For information about Masterson Method courses, seminars, and workshops visit www.mastersonmethod.com.